Yes, Mississippi, You Can Homebrew (If Governor Signs Bill Passed Wednesday) : The Two-Way Mississippi is poised to make it legal for residents to brew their own beer, as its legislature approved a homebrewing bill today. The shift, to take effect on July 1, would leave Alabama as the lone U.S. state that still bans people from brewing beer for their own consumption. Home-brewing will become legal in Mississippi in July, if the governor signs a newly approved bill. Mississippi and Alabama are the last two states in which brewing beer at home is illegal or in a gray area. Mississippi is poised to make home brewing legal, after its Legislature approved a beer-brewing measure Wednesday. The bill now heads to Gov. Phil Bryant, who last year approved a move to raise the state's maximum alcohol limits on beer — something the current bill's supporters point to with optimism. The governor's office has not indicated whether he intends to sign the bill. The development means that Alabama could soon be the lone U.S. state in which it is illegal to make beer for personal consumption. 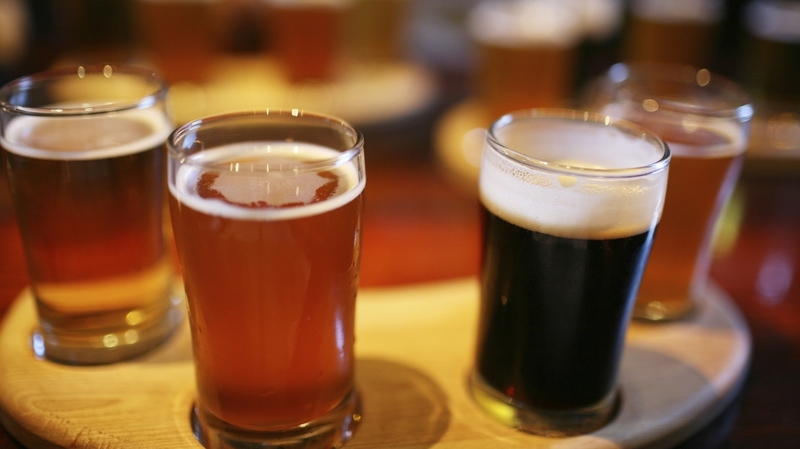 The Alabama Legislature is considering its own bill to legalize brewing beer at home. While home brewing hadn't been explicitly outlawed in Mississippi, the practice occupied what Craig Hendry, president of the advocacy group Raise Your Pints, calls "sort of a gray area." In 2012, Mississippi's attorney general said home brewing was legal, as long as it's done with a $1,000 commercial brewing license — an imposing hurdle with its own complications. The issue is now settled; if the governor signs the bill, it would take effect on July 1. Of course, people have long brewed beer in both Mississippi, where a home-brew- supply store opened in Jackson last year, and Alabama, where the hobby is deemed a felony akin to moonshining — and where the possession of brewing equipment is illegal. So, how many home brewers are there in Mississippi and Alabama? I asked that question of Gary Glass, director of the American Homebrewers Association. Mississippi has about 2,000 home brewers, and Alabama 5,000, he said, "based strictly on the percentage of our members living in those states and an estimate of 1 million home brewers in the U.S." Glass noted that the figures are conservative estimates. Brewing beer at home, which had occupied a "gray area" in Mississippi, is on its way to being legal. 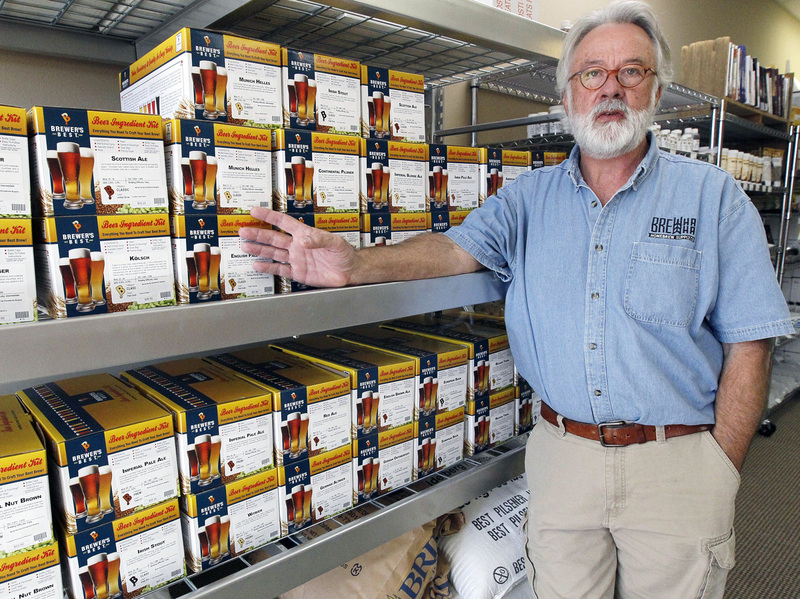 Pictured is Mac Rusling, who opened a home-brew-supply store in Jackson several months ago. Home brewing might seem commonplace these days. But state and federal laws have only legalized the hobby in recent decades. That's because when the Prohibition era ended, home-brewed beer wasn't explicitly allowed in the revised U.S. legal code, according to Glass. It wasn't until 1978 that home brewing became legal under federal law, after a grass-roots effort produced a bill that was signed into law by President Carter. While most states have since followed suit, the process has been a gradual one. Utah made home brewing legal in 2009; Oklahoma did so in 2010. And as the culture of home brewing has evolved, many states have had to revamp their laws to stay in step. Even Oregon, a decidedly "beer friendly" state, was forced to make changes after officials realized it was illegal for home brewers to transport beer to competitions and fairs. A similar bill was introduced in Kansas this year. Change is also looming in Alabama, where state Rep. Mac McCutcheon has introduced a bill to allow people to make their own beer. "I think the Homebrewing Bill has a good chance of passage," he says. Alabama's Right to Brew advocacy group say that while it's rare for anyone to be arrested for making his own beer, that doesn't mean the state's government ignores the law. In 2012, after learning that a new store named Hop City planned to sell home-brewing equipment, Alabama alcohol control agents descended on the shop and removed the banned materials. The new home-brewing legislation includes some limits. While Mississippi will follow federal guidelines of 100 gallons of beer for an adult (and up to 200 gallons per household), Alabama's measure would allow the least of any state: 60 gallons a year, and 15 per quarter. During the debate on the issue, Mississippi Rep. Steve Holland sought to put the new measure in perspective, saying, "100 gallons! That's not much beer for a good drinker," according to a tweet from Raise Your Pints. In Mississippi and Alabama, the new measures' backers have faced criticism that home brewing might cut into tax revenues, as well as resistance from legislators representing dry counties. As a result, bills in both states respect dry counties' no-alcohol laws. And a sponsor of the Mississippi bill, Sen. John Horhn, told his colleagues that "the ingredients used to brew the beer would create some revenue" as they're sold in stores like Rusling's new shop in Jackson. In Alabama, one of the bill's opponents has been the Citizens' Action Program, which warns against easing laws that restrict alcohol. "We are opposed to all alcohol liberalization bills," Executive Director Joe Godfrey tells Birmingham's ABC 33/40. "Alcohol is a mind-bending, addictive drug. It has an addictive nature to it. It destroys families, it destroys lives, it's bad for our culture and our society and it's been proven over and over again." If it's approved, the Alabama bill would mean the state's home brewers "will no longer have the fear of arrest hanging over their heads for simply participating in a hobby that is enjoyed by residents of 48 other states," a representative of Right to Brew said in an email. Alabama's home-brewing bill would also seem to have backers at Auburn University; the school plans to offer a graduate degree in brewing science, as The War Eagle Reader reports.